This was a huge ad at the luggage carousel in Cologne, Germany. That's how you know you have arrived in Cologne. They are very serious about their Kölsch. I'm a German teacher at a university...loved seeing this! 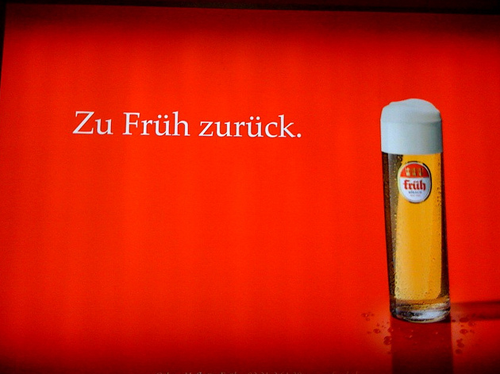 You are spot on about their Kölsch. I'm glad for you that you saw Cologne...it's one of the great cities in Germany.